Getting a time constrained audience exploring more. Monday to Friday captive audience – city workers – to get out and about on their lunch break. See what’s achievable within 1 hour. The smart search shows what can be reached (by foot), done, and returned from within 1 hour. Whether they’re looking for a cheap lunch, a quick culture fix, or places to break a sweat, they can discover what’s near them. 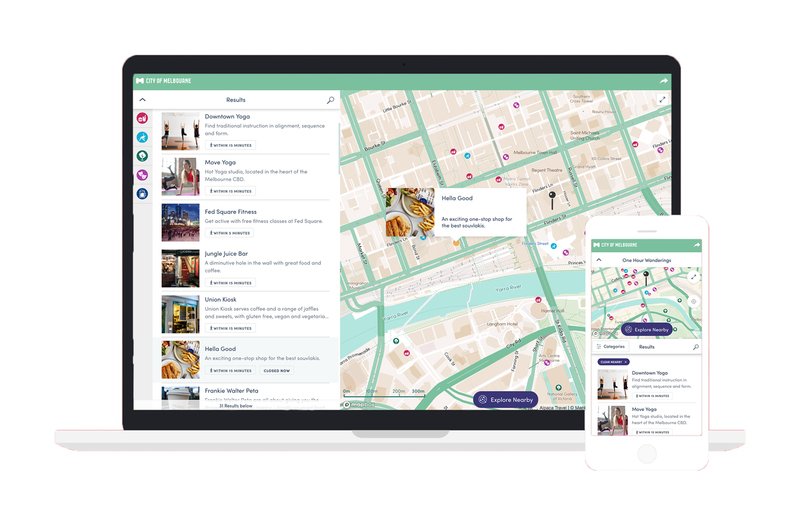 The simple engagement tool removes the barriers – what’s nearby? what’s possible within 1 hour? – and reveals experiences they may have never considered.